Just when you think that audio production software has peaked you can always trust Steinberg to lift the bar even further. 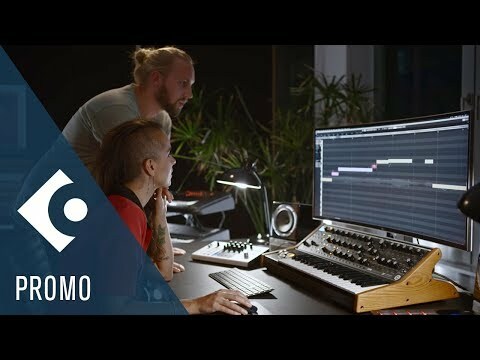 The new Steinberg Cubase 10 Digital audio software series is here complete with a more streamlined workflow but with additional production power so that you can get right to the heart of your music. Cubase 10 also comes with a plethora of inspiring audio content just waiting for you to get your hands on. In total, 5 gigabytes of sounds from acclaimed audio producers cover a range of genres including techno, soul, hip-hop, experimental ambience and movie soundtrack. Of course, all of your own audio content and 64-bit plug-ins can be used with Cubase 10 and the process of that has also been upgraded thanks to the ability to drag and drop external plug-ins. What does the artist version get me? The artist edition is aimed at the musicians and songwriters that need powerful tools but without some of the complexity that the professional package involves. Additionally, should you wish to upgrade, Steinberg offers a discounted upgrade path. Steinberg Cubase has been one of the best DAW's around since its inception in 1989. With every new release the musicians and producers of today gain even more powerful tools that allow you to create any music in your imagination. Unleash that creativity today and let Cubase 10 help you to put your potential into practice.